Are Men's Adult Diapers the Right Option? Although incontinence happens more often in women than men, about 11 percent of men still experience some type of urinary incontinence. This makes it important for men to have access to adult diapers that match their unique needs. If you or a loved one has experienced incontinence, then you may want to learn more about men's adult diapers to prevent accidents. What Are Men's Adult Tab-Style Diapers and How Do They Work? Men's adult briefs have built-in padding that traps liquids. If you have an accident during the day, the adult diapers will absorb the liquid. 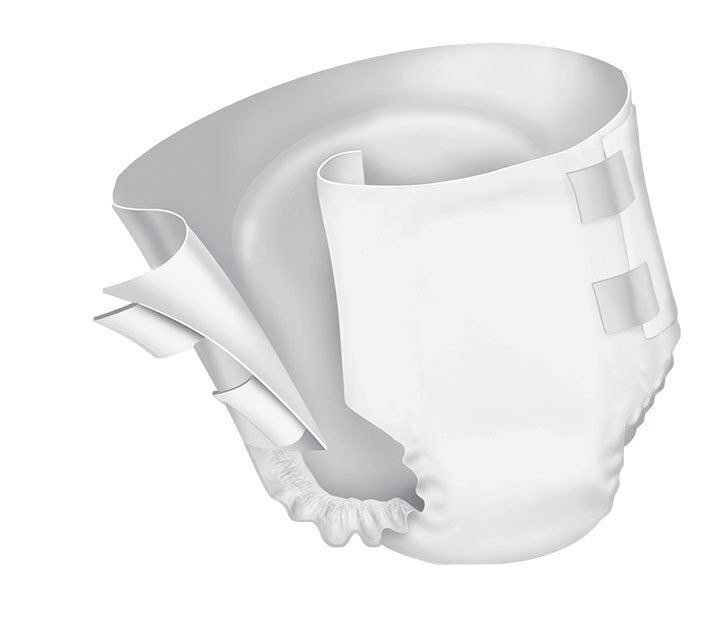 The pads used in many adult diapers are so absorbent that they can keep you dry even after urination. Reliable pads also have breathable outer layers that help you stay comfortable throughout the day or night. Tab-style diapers have tabs that make them easy to remove. With briefs, you have to pull the underwear down your legs. With tab-style diapers, you can unhook the tabs and remove the underwear without standing. Who Should Wear Men's Adult Diapers With Tabs? Anyone who experiences incontinence can benefit from wearing adult diapers. Some men think that they don't need disposable briefs because they have very mild cases of incontinence. Once these men start wearing men's adult diapers, they often find that they enjoy the peace of mind that they get. Adult diapers can also work well for people with serious incontinence. When shopping for adult diapers, men with significant incontinence should look for highly absorbent options that will keep them clean and dry. Men's adult diapers with tabs work especially well for men who rely on caregivers. The tabs included in the briefs make it easier for caregivers to replace used underwear with fresh adult diapers. What Types of Diapers Should You Consider? Most adult diapers are unisex, but you can find some brands that cater specifically to the needs of men. Care.Club uses several features to help you order incontinence supplies like men's briefs and men's adult diapers with tabs. The website lets you browse products by price, customer ratings, gender, absorbency rate and type of incontinence. Care.Club even offers free 1-2 day shipping on orders over $59. Shop Care.Club today to buy the type of men's incontinence supplies that match your unique needs.